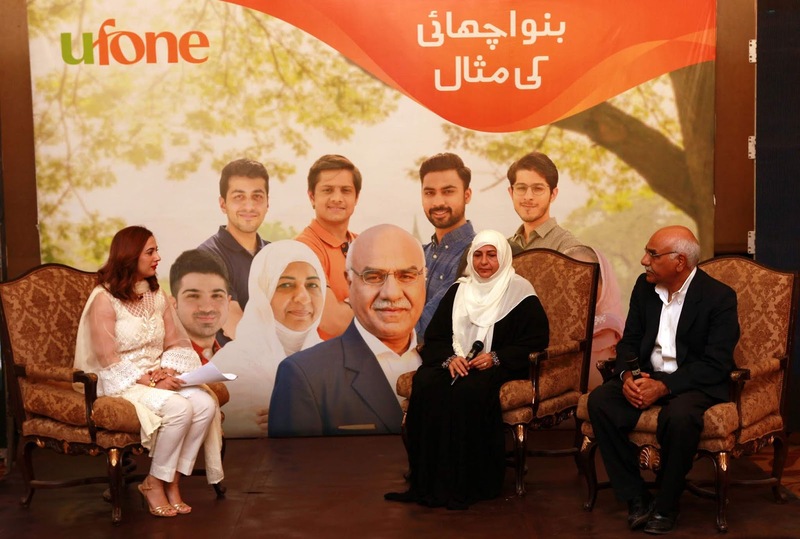 Karachi: Honoring the values of kindness, sharing and charity, Ufone organized an event to highlight the work of two exceptional Pakistani individuals under their Ramazan campaign ‘Bano Achai ki Misaal’. The gathering’s aim was to showcase the work of Mrs. Farzana Shoaib, founder of Binte-Fatima Old Home and Dr. Muhammad Amjad Saqib, founder of Akhuwat, giving bloggers and media representatives a chance to personally interact with these extraordinary people and hear their inspiring stories. 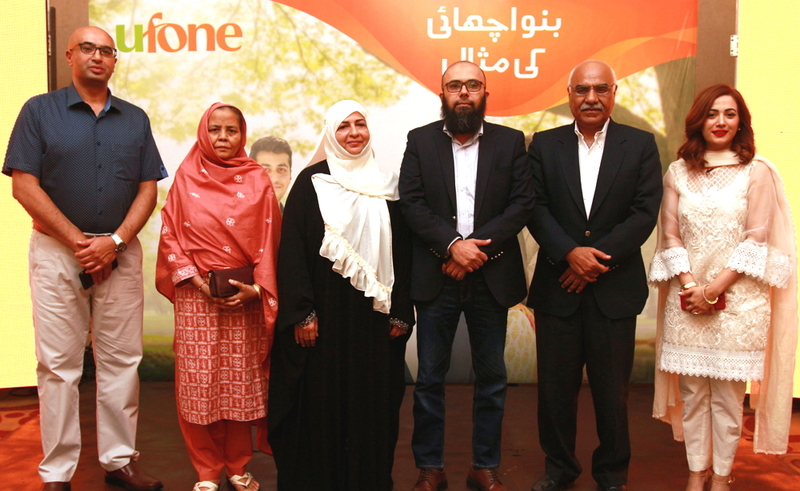 Ufone organized an event to highlight the work of two exceptional Pakistani individuals under their Ramazan campaign ‘Bano Achai ki Misaal’. Picture shows Farzana Shoaib (3rd from left) of Binte Fatima and Dr. Amjad Saqib (5th from right) of Akhuwat along with Ufone’s officials.